Unanimous National Champion Half Arabian Mare Halter – Junior Owner to Handle – 2002. 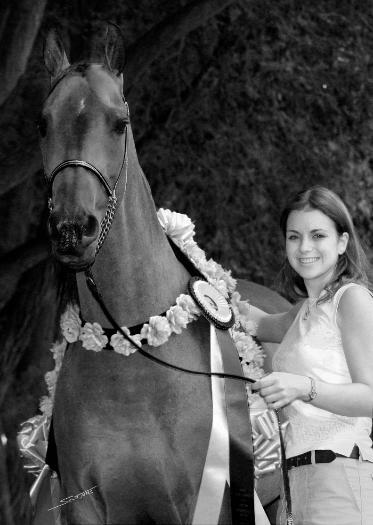 Reserve National Champion English Pleasure, 14-17 year old Riders – 2002. Nine additional National Top Ten Placings.